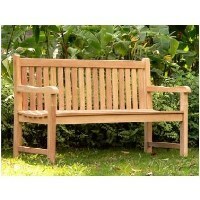 Teak furniture is the highest quality outdoor furniture you can choose from, for your garden or patio. Due to its longevity, density and durability, Teakwood requires little or no maintenance throughout years of outdoor use and develops a soft silver color from exposure to the elements. Teak is the most durable natural product on the market to date. This immensely stable timber has a high oil and rubber content and a natural water repellent which makes it virtually immune to rotting. It is very valuable wood and is prized throughout the world. It is favourite for use in constructing sail boats and other ocean sailing vessels. For centuries Teak has been famous as the finest wood there is for demanding outdoor use-on yachts and the decades old benches in the garden and parks around the world. When you are buying an elegant piece of solid Teak furniture from Aussie Outdoor Teak you are buying a lifetime investment.